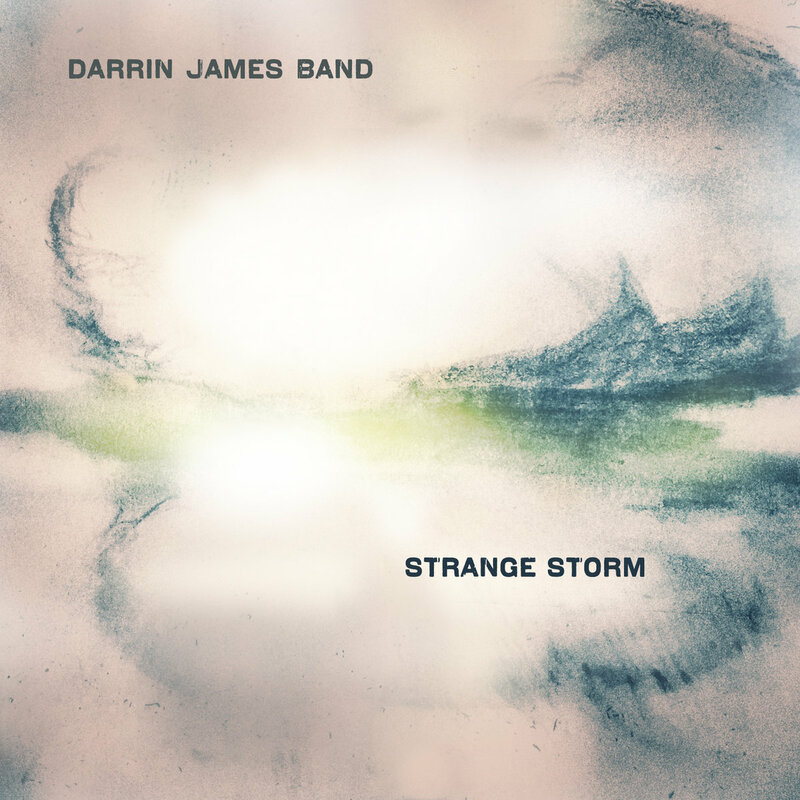 Strange Storm, the third album from the Detroit based Darrin James Band, is truth-telling of the bitterest sort, ten tracks naming the slights we do each other, intended and otherwise. Following suit, Darrin James, principle songwriter and singer, growls, rasps, sneers and bellows through the trouble-minded lyrics. James, of course, hasn’t the market cornered in outrage, but he’s not one to wring hands and resign himself to regret and rumination.The album isn’t a mere scolding for the sins society commits against fellow citizens, but also a grand and roiling work out by an instrumental troupe that cuts a rapid and confident path through a heady number of approaches, be it traditional folk/protest, hard rock and polyrhythmic , through a grainy brand of fusion and wrenching excursions in dissonant free-jazz wailing. It’s refreshing, it’s bracing, it’s a welcome relief from the prepackaged reflexes that dominate the chatter in the major music media. These guys get your attention and don’t waste your time once they have it. The band is adroit, with mastery of varied grooves and rhythms. Generous chunks of hard rock guitar balance against the quick reflexes of a funk and fusion-honed rhythm section underpins the James’ snarled ire. Hardly a droning list of the evils of wealth, power and status seeking; the songs are varied, the rhythms are sharply executed, venturing from more traditional folk protest style as in the opening “Walking in the Footsteps”, through the hammering downbeats and stuttering Meters-style funk of the title track.Suitably, it’s not just lyrics that characterize the outrage, but also the music, especially in two instrumental tracks, “Downdrafts Cold Fronts” and “Covert Mission Anthem”. With nods to P-Funk, Zappa’s more crowded orchestrations and the anguished improvisations of Charlie Haden’s Liberation Music Orchestra, this a swerving ride between over lapping modes and moods, subdued textures and light embellishments morphing into angular, off-center progressions , with sharp guitar riffs and arguing horn and reed solos traipsing through the coarse density. The abrasive layering of trumpet and sax effectively match James’ excoriations. Strange Storm has impressive brilliance in their harnessing anger and railing against injustice.